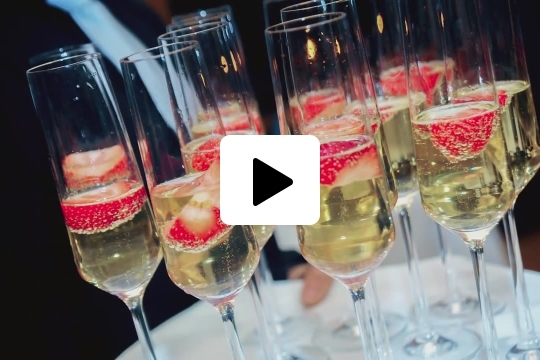 Our Annual Food & Wine Experience is almost here! Join us Nov. 2-3 for the 15th annual Food & Wine Experience, as we feature some of the nation's best chefs, culinary stars and celebrated winemakers. 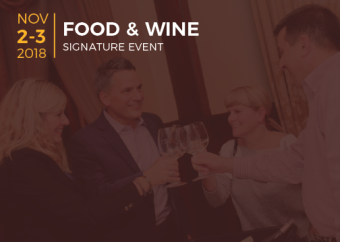 Enjoy one of the most renowned tasting events in the Midwest, featuring vintage wines, signature cocktails and craft beers alongside decadent culinary samples from local 4- and 5-star restaurants. Indulge your culinary and wine cravings with a multi-course gourmet dinner prepared by four-time James Beard Finalist Best Chef South, Executive Chef Slade Rushing. Each course is expertly paired and presented with wines by Schramsberg Vineyards and artisanal cheeses prepared by Carr Valley Cheeses and Emmi Roth. 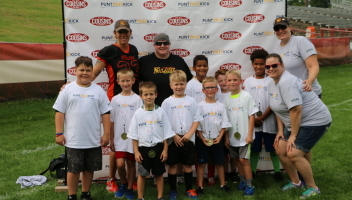 Thank you to those who participated in our inaugural Punt Pass Kick competition. 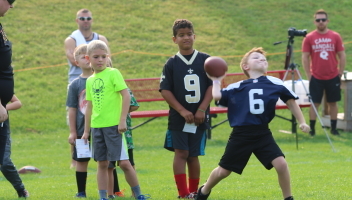 It was heartwarming to see children having fun to help raise funds to benefit pediatric cancer research and care. 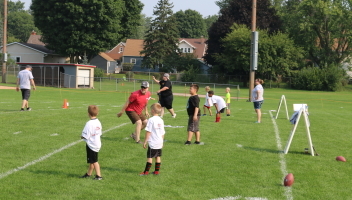 Check out photos from this year’s event on our Facebook page. Watch the foundation’s website for dates and locations for the event next year. The Vince Lombardi Cancer Foundation is proud to fund requests from recognized healthcare institutions making an impact on cancer research and compassionate care. Submit an application by September 30, 2018, to be reviewed by the Grant Application Committee for the upcoming year. Packers Vs. Cancer will be highlighted at the Packers-49ers game on Oct. 15, presented by Bellin Health. 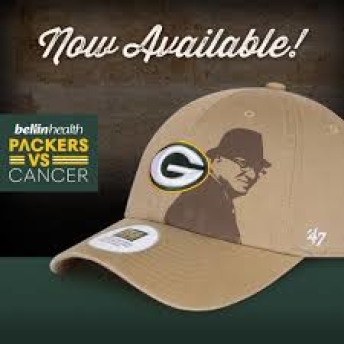 The Packers Pro Shop is again selling a Vince Lombardi cancer awareness hat available for purchase now at the Packers Pro Shop, with $5 from each sale going directly to VLCF. Join VLCF on Thursday, January 31, for the 2nd Annual Leaders For A Cure event. 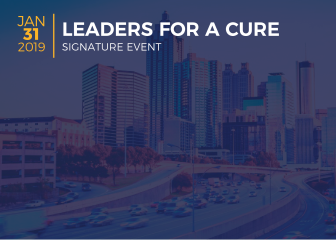 We are joining Super Week festivities once again as we celebrate leaders in cancer research and compassionate care from this year’s host city - Atlanta, GA.
We are now accepting nominations for Georgia-based doctors/PhDs, nurses, individuals and companies that have made an impact in the battle against cancer.